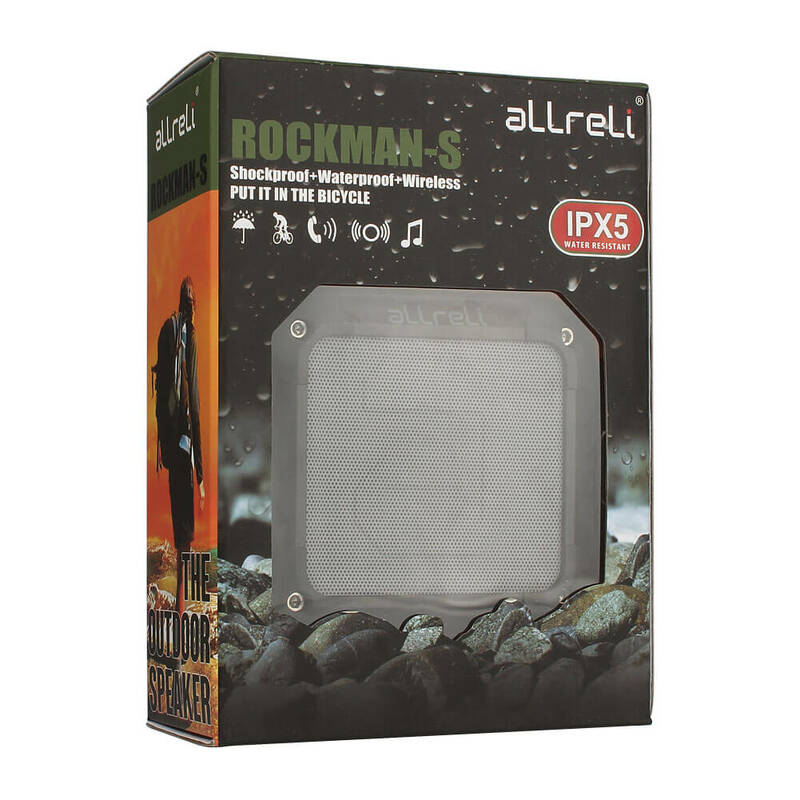 With the aLLreLi Rockman-S Portable Bluetooth 4.0 Speaker, you can continue to enjoy your favorite songs in the wettest of conditions and enjoy your digital music from your mobile device to the fullest. 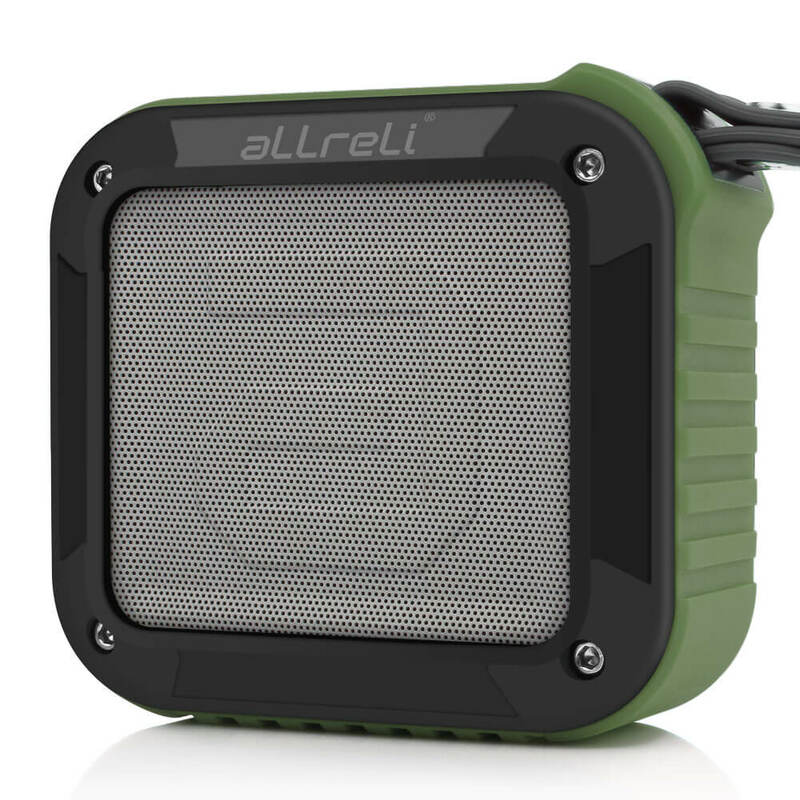 A second generation design, the aLLreLi Rockman-S Portable Bluetooth 4.0 Speaker is one of the most advanced waterproof speakers ever made. The new Bluetooth speaker can pair with any Bluetooth-enabled tablet, smartphone or MP3 player up to 33 feet away, so that you can keep your mobile device safe while still listening to music. The powerful 5-watt speaker offers impressive sound quality, yet it’s so compact in size that you can easily carry it in a backpack, hang it from your bike or set it on the ledge in your shower. With an IP65 waterproof rating, the aLLreLi Rockman-S Portable Bluetooth 4.0 Speaker can be used in places you’d never dream of taking a smartphone or tablet. 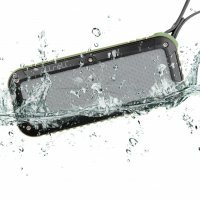 The dustproof, shockproof speaker is perfect for pool parties, the beach, the shower, the hot tub and simply for listening to music outdoors. A lanyard is included for hanging the speaker wherever you wish. Powered by a 1500mAh lithium ion battery, the aLLreLi Rockman-S Portable Bluetooth 4.0 Speaker provides up to 10 hours of audio enjoyment. You can listen to music for an entire work day or all through the night without having to recharge. 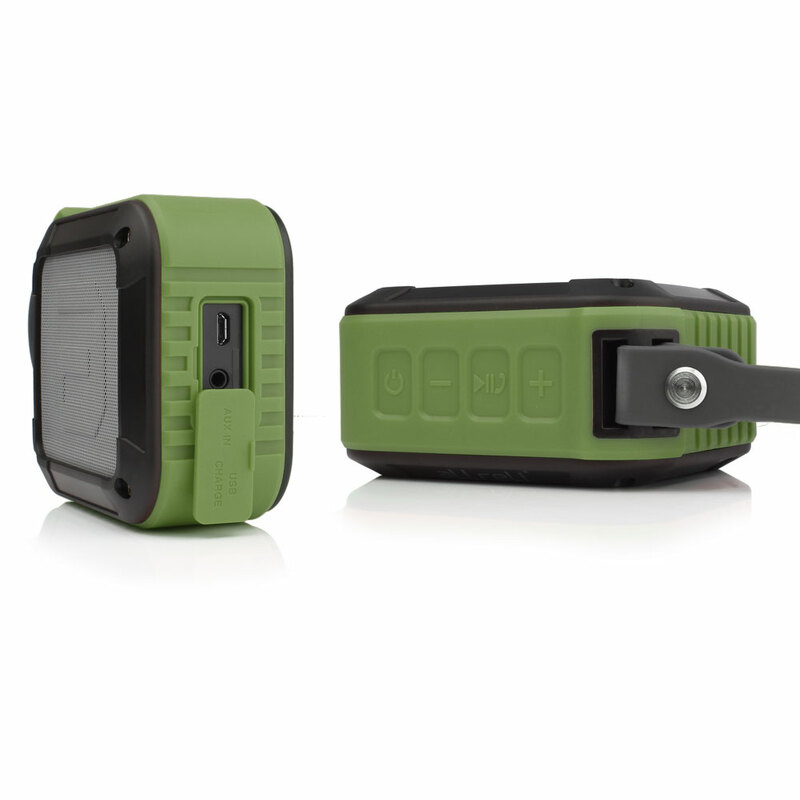 When it comes time to repower the battery, just connect the speaker to your computer’s USB port with the included cord, and it will be ready to go again in just 4 to 5 hours. Live your life to a continuous soundtrack of music played with crystal clear sound quality! Order the aLLreLi Rockman-S Portable Bluetooth 4.0 Speaker now.